Oh Monday, how soon you come. 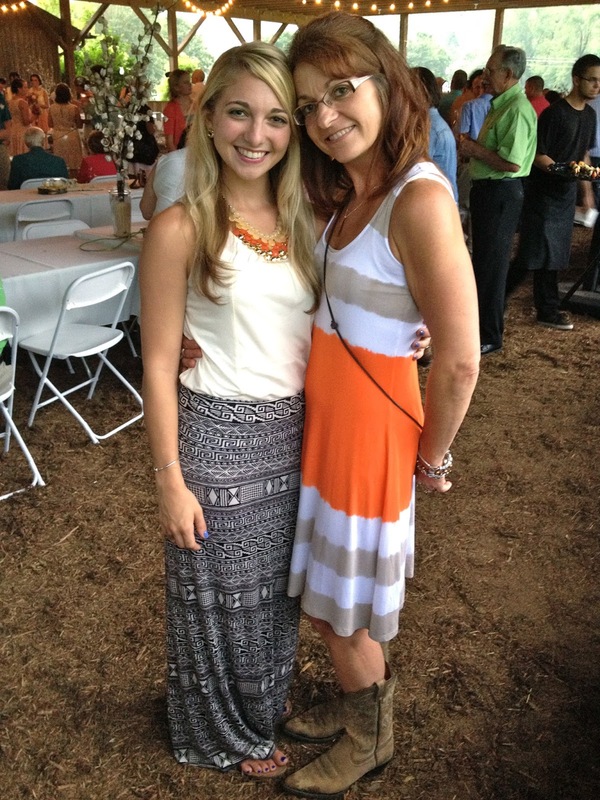 I spent the weekend living it up in NC for one of my friends wedding. It was stunning. Other than driving 6 hours in one day it was a good one. 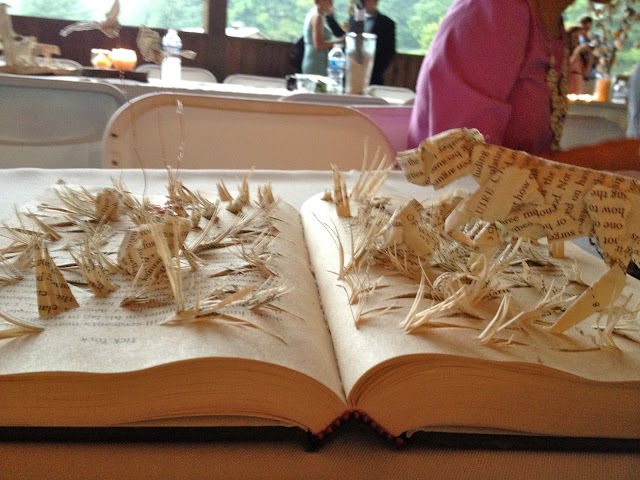 The bride made 20 of these "book art" pieces by hand with different scenes at each table. Amazing. Outdoors, barn, lights everywhere, and rain. She road in on a horse people while it sprinkled the rain on her. I have to repeat myself - stunning. Anywho other than that I have to share my Friday experience. 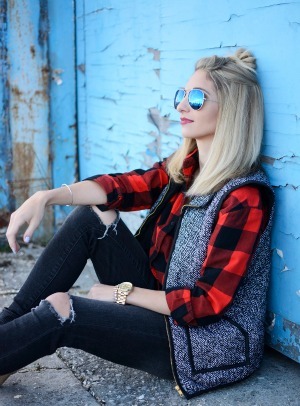 I was sitting at my dining room table on my laptop, just like I am doing now, blogging. No makeup, coffee breath, glasses, no bra, and boxers. I heard a car drive into my cul de sac, which is not abnormal, there is plenty of traffic in my neighborhood. Then I heard a car door slam. I got up and walked a couple of feet to my window - being nosy or cautious - whatever you want to call it - to see a young girl walking up my pathway. What did I do next you ask? I ran to my bedroom to hide from a small girl walking up to my front door. On the way I hit the light switch off making sure it looked as if no one was home. I sat on the edge of my bed, out of breathe, panting and wondering what the heck she wanted. To sell girl scout cookies? To smile real cute and sucker me into buying some school calendar or gift wrap or something like that? I waited for the knock. Never came. Then I heard a car door slam again. Was she leaving? After hearing the car drive off I slowly made my way back to the front door, just to be safe in case she was hiding around the corner waiting to jump out and say "AH HA. I knew you were home!" The coast was clear. I peered out my front door (which is comprised of windows) and saw nothing. What the heck was she doing here? Playing sick mind games walking up to people's front doors and scaring the beejesus out of them? I opened the front door and there it fell. Yep, I'm a weeny. You would have thought the child was walking up with a bazooka the way I ran. What was I scared of? Her seeing me with no bra and no makeup? Her sucking me into buying something I didn't need? I think that's it. The scary thought of saying no to a child. I'd rather just hide like one. 2 comments on "That Time I Ran From A Kid"
I don't blame you. I'm easily suckered into buying crap! I can't tell you how many times I've done this. Hysterical. Relax. Life's Too Short For Stress.